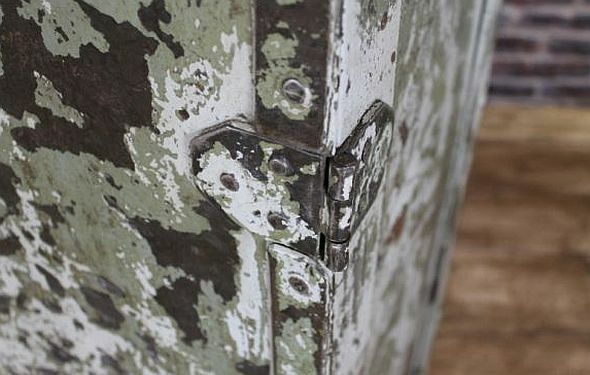 A wonderful vintage industrial steel cabinet or cupboard, perfect to complement any industrial interior. 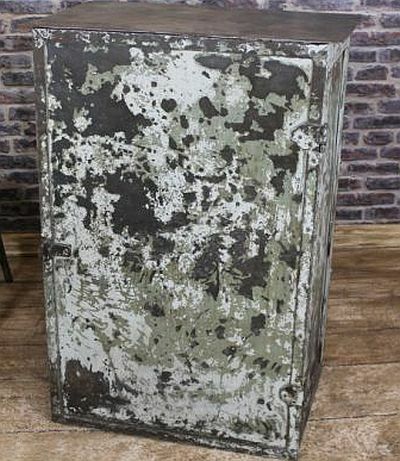 Recently acquired from a 1940’s garage this piece has a marvelous distressed shabby chic finish to the paintwork which only time can produce authentically. Ideal for many storage uses for many rooms in both homes or businesses. 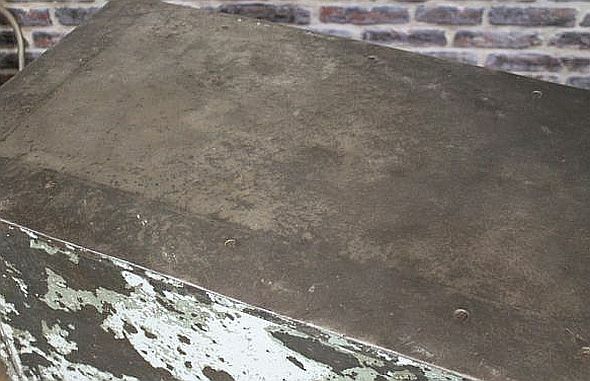 This item would look fabulous when toned with brickwork or timber, a real authentic piece to add charm to any interior. 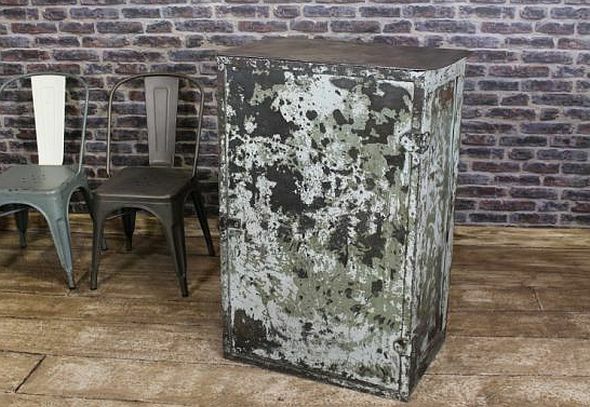 This vintage industrial steel cabinet is just one of the original items we have for sale at the moment. All the other items in the photos below are available in our other listings. 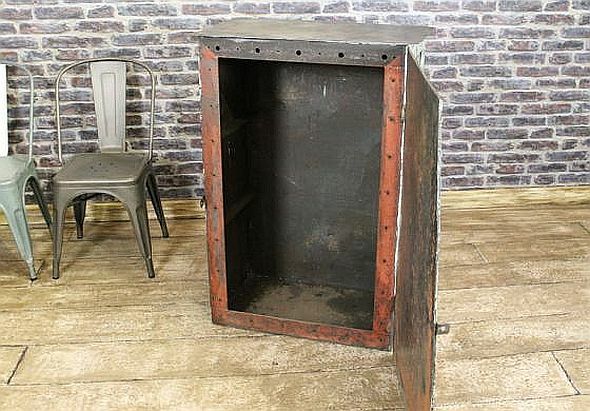 This vintage industrial steel cabinet has brackets fitted to the rear to enable for it to be hung onto a wall, we are unsure exactly what it has been used for before but would be ideal for the storage of many items. 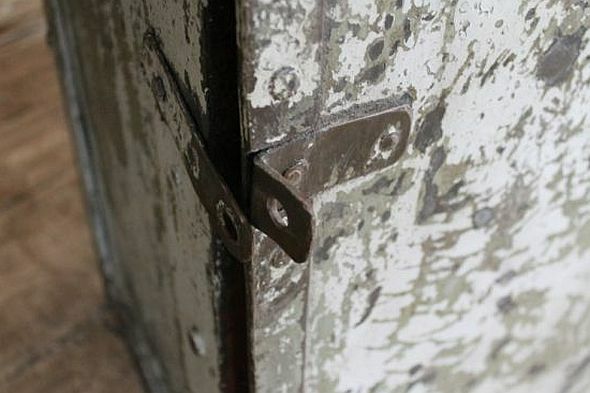 It has a riveted door and iron hinges. A truly original cabinet sturdily built and which could offer many more years of practical service. 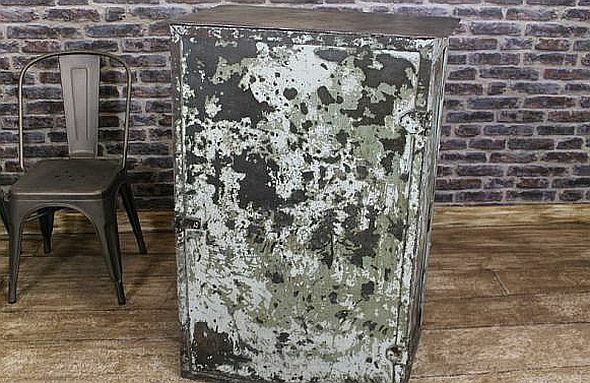 Our staff are always available on 01543 375872 to answer any queries you may have about this vintage industrial steel cabinet or any of our other listings.